I can write on any subject, but here are a few samples to give you a sense of my style and versatility. 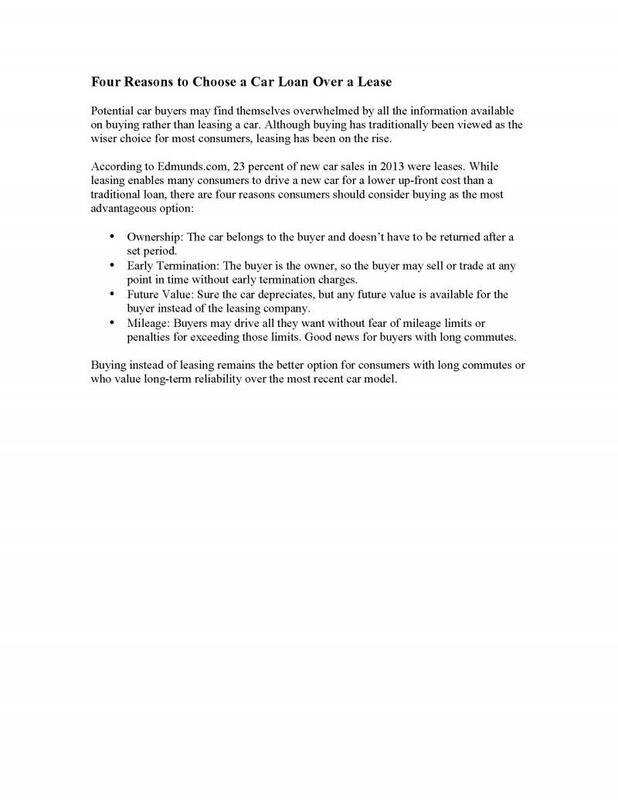 My assignment was to write a recommendation (no more than 200 words) to buy or lease a car for prospective car buyers. A sample of my blog writing may be found here.